During my childhood days, I really love sweets like ice cream, cake, chocolate and candy. As a kid, having a sweet tooth is inescapable. We really crave for something that will tickle our taste buds. With my age today, (Don’t think that I am too old right now! hehe) everything is different, the way I dress, things I want to do and surprisingly, even my taste buds changed too! In scientific explanation, this is due to eventually wearing out of special sensory cells that make up the taste buds just like any other cells in our body. Anyway, I am happy even though I don’t have a sweet tooth today, my sense of taste doesn’t decrease because if it does, I will be alarmed because this may lead to decreased appetite, poor nutrition and of course it will affect my cooking skill. Speaking of taste buds, I discovered an ice cream which doesn’t taste so sweet and will satisfy my craving for a desert. This ice cream sandwich is a product of Dairy Queen. 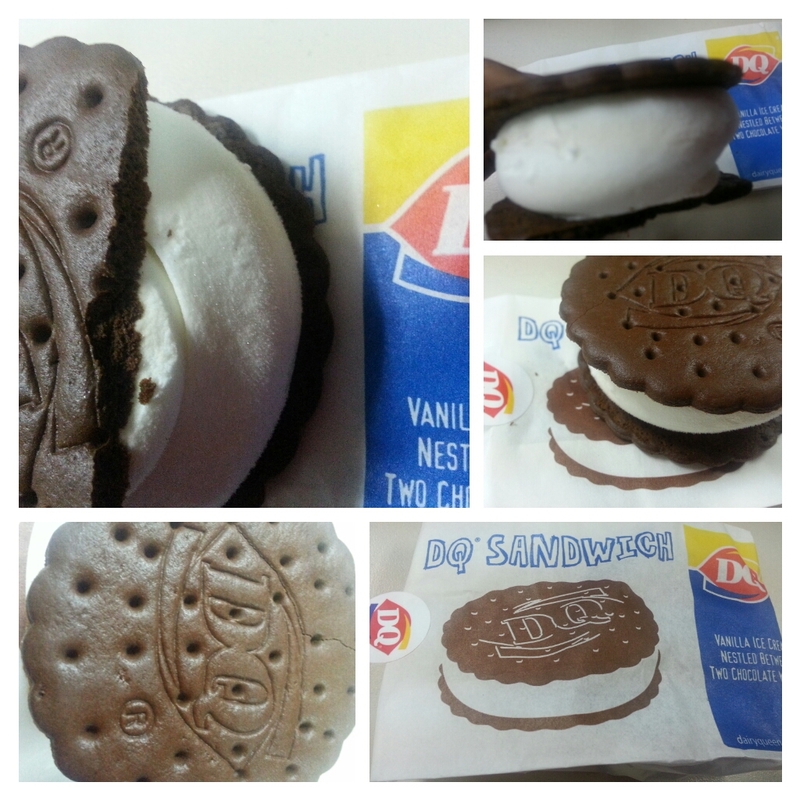 There is nothing special with this ice cream sandwich. It is a typical vanilla ice cream filled between two wafers. I just like the fact that it is an ice cream and a chocolate wafer yet, it doesn’t taste too sweet. This is best for people like me who are craving for ice cream dessert with the neutralized taste of sugar. 2000 calorie diet. Your daily values may be higher or lower depending on your calorie needs. I remember, when I was in grade school, I used to experiment how to create an ice cream. We’ll so far, I made it and I will share it to you soon.